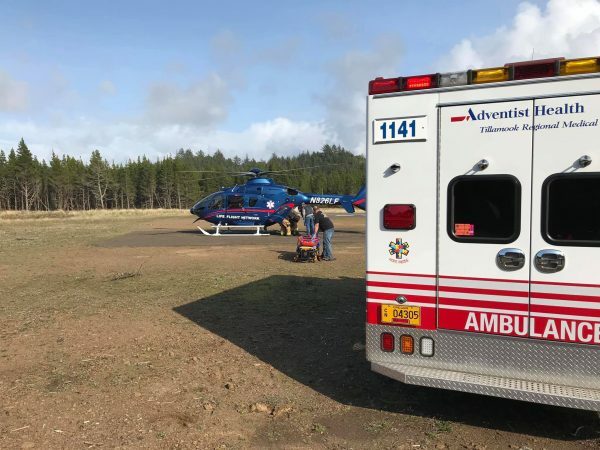 The Nehalem Bay Fire and Rescue service, based on the coastline about 15 miles from Portland, said in a statement that the woman sustained serious injuries. “NEVER turn your back on the ocean!” warned the rescue service. 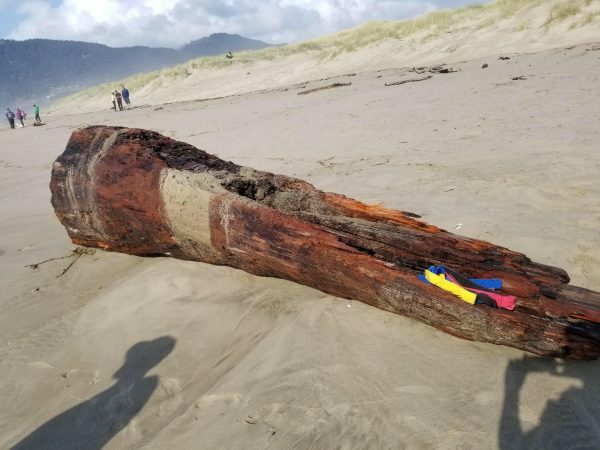 “On Saturday, March 23, volunteers responded to the beach for a woman who was crushed by a large driftwood log when it was struck by a “sneaker wave” while she was sitting on it. The woman sustained serious injuries and was flown to Portland for treatment,” the service continued. Sneaker waves are rogue waves that wash high up onto beaches catching people unaware. They are found along a few specific coastlines around the globe. They cannot only catch swimmers by surprise, dragging them out to sea but also sweep up those standing on the shore. In the United States, they are mostly found on the northwest coast in Oregon and Washington. They are known as “king waves” in Australia, where they occur mostly on the western coast. In Iceland, certain beaches now have specific warnings about the phenomenon after a number of deaths in recent years. 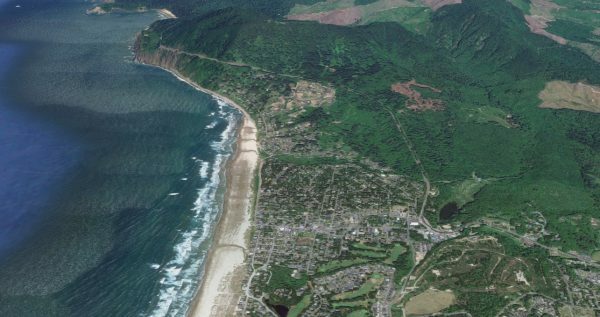 “Unlike rip currents, sneaker waves affect people who did not intend to be in the water,” said oceanographer at Oregon State University, professor Tuba Ozkan-Haller in a statement. “They are dressed in boots and coats, things that weigh them down. These sneaker waves don’t necessarily have to be big. Just unexpected,” she said. Sneaker waves are so hard to predict because unlike most wave sets, they do not have a pattern. For scientists too, sneaker waves are hard to pin down, although they have been able to observe certain correlations between large storms out at sea and sneaker waves. But researchers were confounded by a band of powerful sneaker waves that on Jan. 16, 2016, swept through seaside communities along 280 miles of coastline from Washington to northern California. Those exceptional waves were caught on various dramatic videos that showed water rushing past normal tide lines and filling beaches and streets, stretching hundreds of yards inland. But when the scientists studied the data on wave activity, they found it resembled conditions for a small tsunami, but without the triggering earthquake or telltale atmospheric disturbances, reported Phys. Org. But the research team found that the 2016 sneaker was not a one-off event, however. Lead researcher Chuan Li, a civil engineering graduate student at Oregon State University, suspects distant storms may have been responsible. Understanding sneaker waves is important, he said. 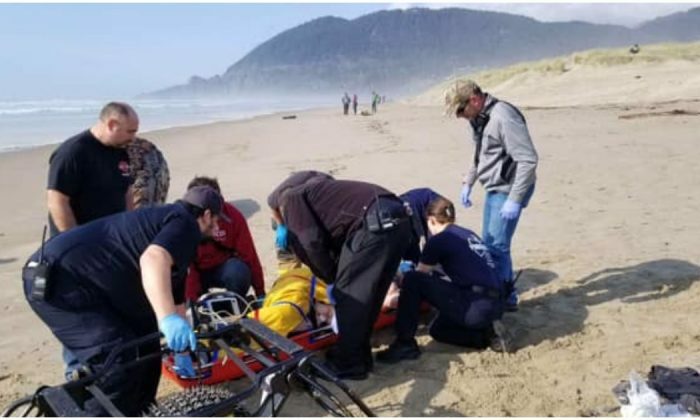 His remarks are echoed in the comments on the story of the woman hit by the driftwood log. A “sneaker wave” caught beachgoers by surprise in Coos Bay, Oregon, over the weekend.